BAKU (Combined Sources)–Azerbaijan will work with Turkey to intensify efforts toward establishing a regional platform Ankara hopes will manage relations and conflicts in the South Caucasus, Azeri Foreign Minister Elmar Mammadyarov said Monday in talks with his Turkish counterpart in Baku, the Trend News Agency reported. Mammadyarov’s remarks come less than a month after officials from Armenia, Azerbaijan, Georgia and Russia met in Istanbul to discuss the Caucasus Stability and Cooperation Platform, proposed by Turkey after the short but devastating Georgian-Russian war in South Ossetia last August. Foreign Minister Ali Babacan was in Baku meeting with Mammadyarov, and President Ilham Aliyev during a one-day official visit focusing largely on the Nagorno-Karabakh conflict and Turkey’s Caucasus platform. During his meetings, Babacan underscored the importance of resolving disputes to ensure stability in the region, Turkish Foreign Ministry spokesperson, Burak Ozugergin, told the Anatolia news agency. Babacan’s visit to Baku came after bilateral talks with his Armenian counterpart, Eduard Nalbandian, and Armenian President Serzh Sarksyan on Friday and Saturday on the sidelines of the 45th Munich Security Conference. Ahead of his departure from Munich for Baku late on Sunday, Babacan told reporters that Armenia and Turkey are targeting the "full normalization" of ties through ongoing talks. “From whichever point of view, we are in the midst of a process in which meetings between Turkey and Armenia are at their most intense and important level since World War I,” he said. 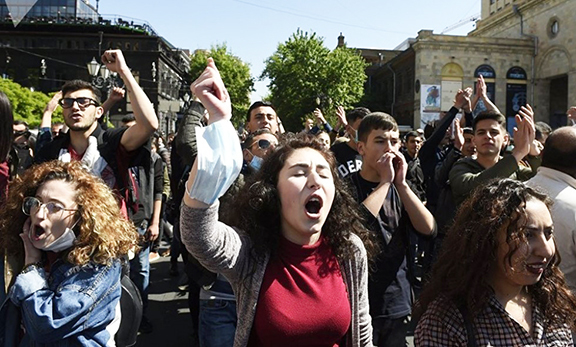 But Turkey has increasingly linked normal relations with Yerevan to negotiations with Baku, maintaining that the Nagorno-Karabakh conflict must be resolved in Azerbaijan’s favor for Armenian-Turkish relations to succeed. "I consider third countries’ contributions to and observations of this process useful while Turkey and Armenia discuss issues on a bilateral platform,” Babacan said Sunday, referring to Azerbaijan’s role in Turkish-Armenian dialogue. Ankara says it wants both Baku and Yerevan to be part of its regional platform. But the two have no diplomatic owing to Azerbaijan’s militaristic stance on the Nagorno-Karabakh conflict. But according to Babacan, the conflict can be resolved by maintaining the territorial integrity of Azerbaijan through peaceful means in line with international law and principles. Mammadyarov stressed the Caucasus Stability and Cooperation Platform’s vital role in the region, saying that efforts to realize the projects should be intensified, the Hurriyet reported.